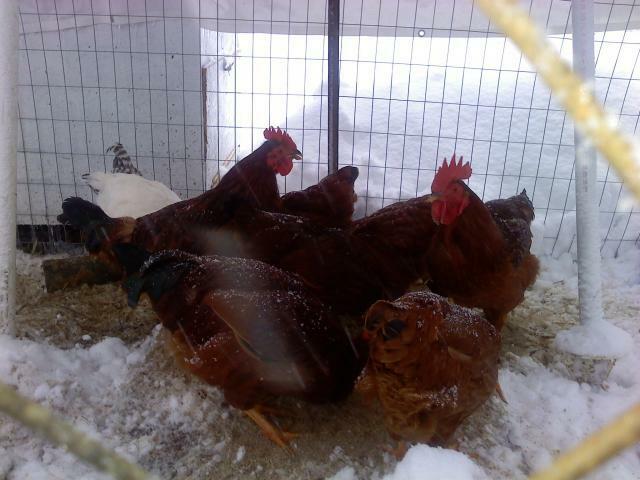 These are our Rhode Island Reds. 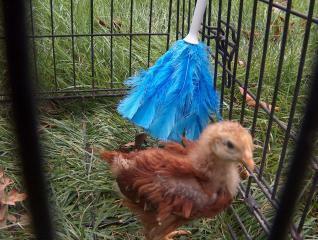 We have 4 of them - 3 hens and a rooster - that we raised since 12 weeks of age. 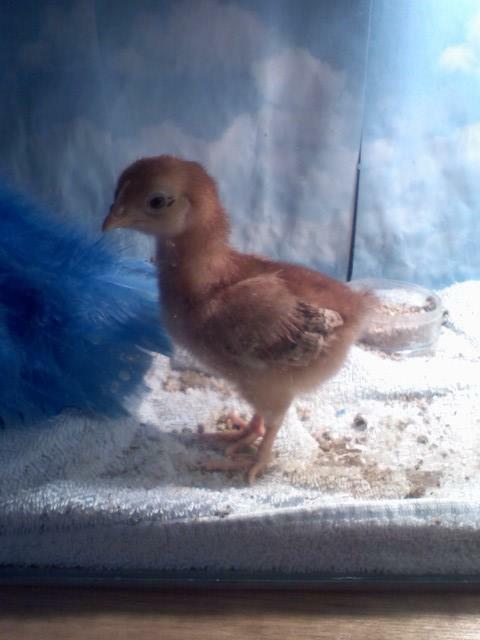 Uno was given special treatment since it was our first hatchling. 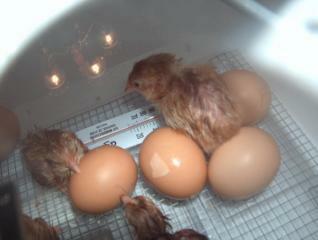 We incubated another batch of our eggs and ended up with nine out of fourteen. We tried to candle, but to no avail. We searched the site and found a lot of info but never knew for sure what we were looking at. 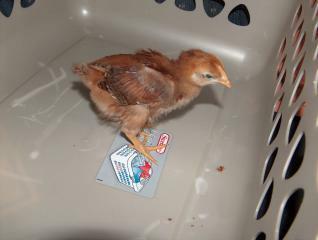 After the chicks hatched, we took leftovers and decided to investigate. 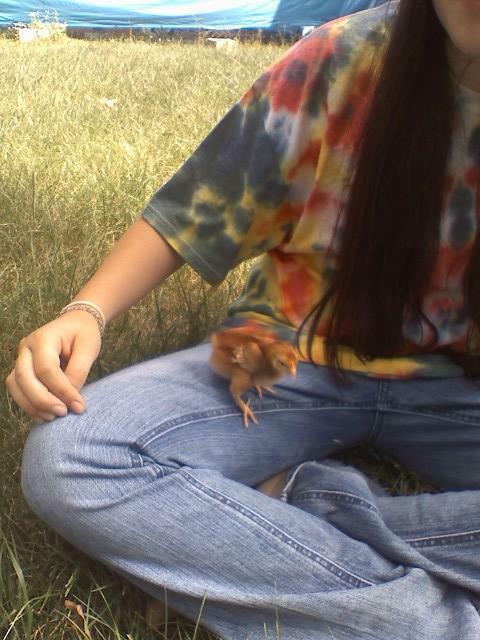 We found one fully developed chick, but don't know what happened. 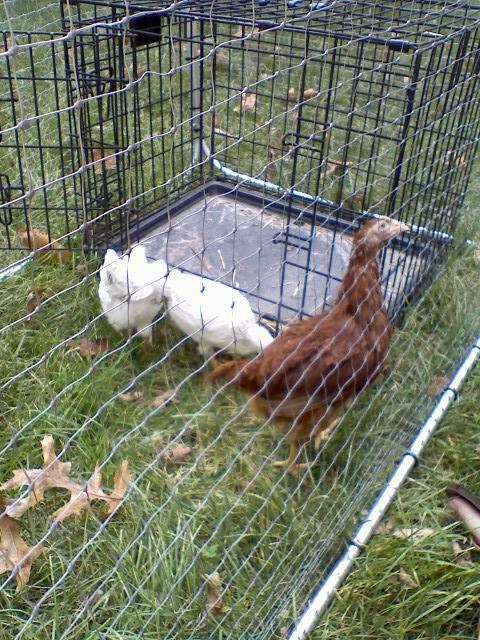 Here are some pics of the second group. 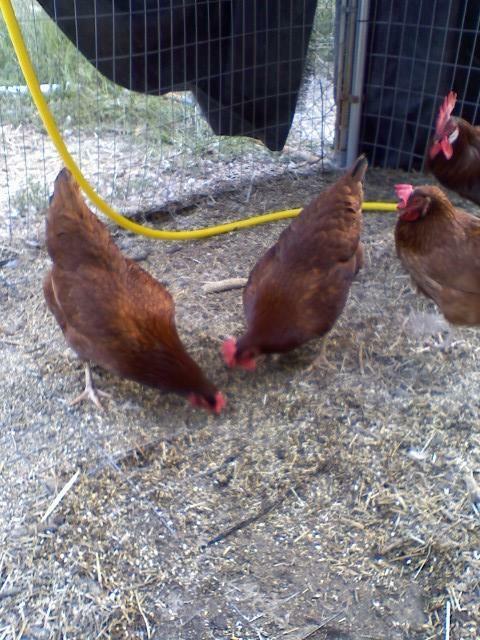 We got Hans and his three hens ( our Silver Lakenvelders ) in October 2009 off of craigslist.com. 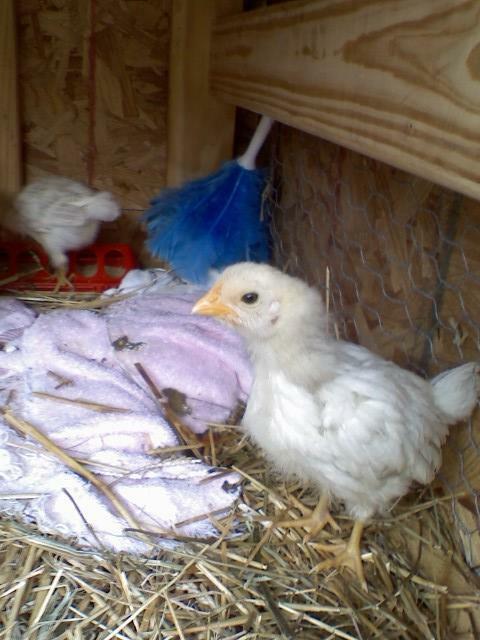 They were about 15 months old. 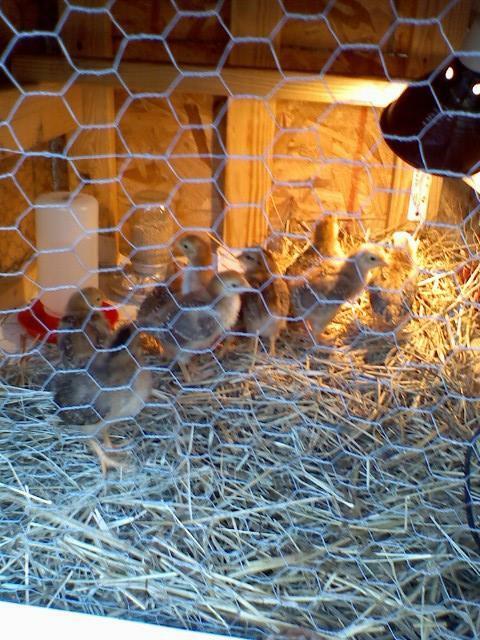 These are our four Barred Rocks we hatched from bought eggs through the mail. 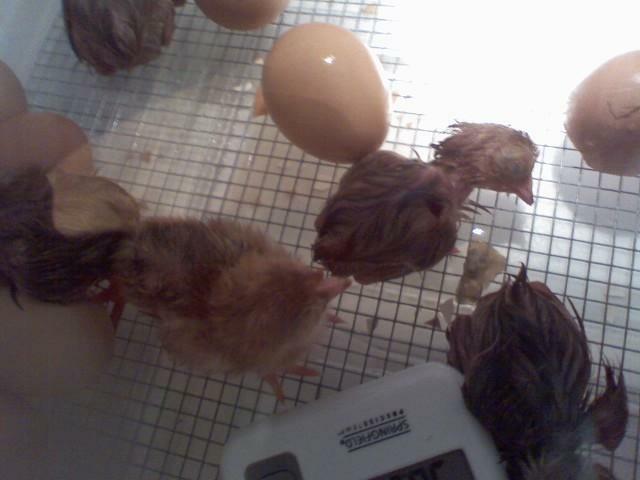 These were the only ones to hatch out of a batch of 48 eggs! We have sworn off ever mail-ordering eggs ever again. 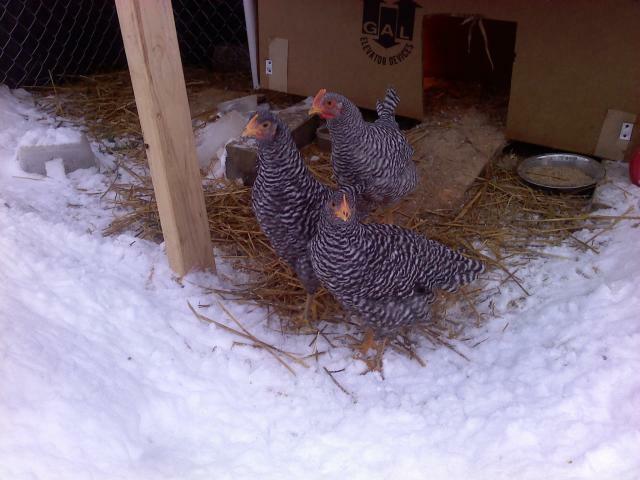 They are about 6 weeks old now, trying to survive their second 20" snow storm! 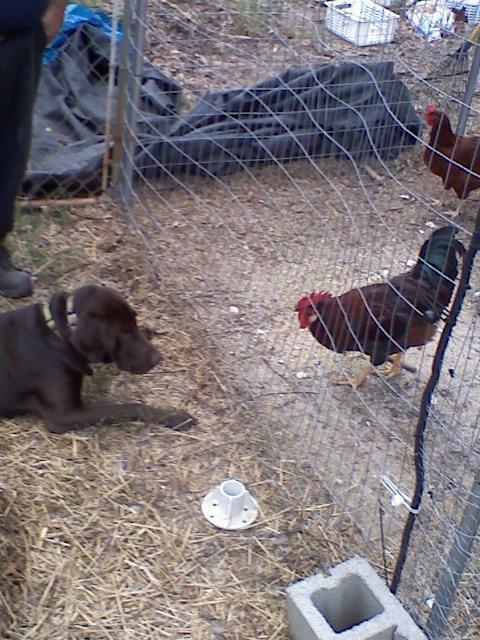 This is our chocolate lab Troubles Tug of War doing a Mexican standoff with Virgil our original RIR rooster. We would love to know the thoughts of thes two guys. 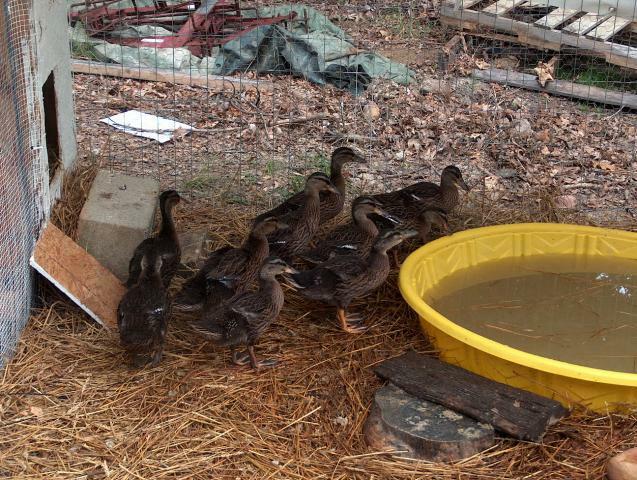 We also started a Mallard flock, when the 10 ducks were about 4 weeks old. 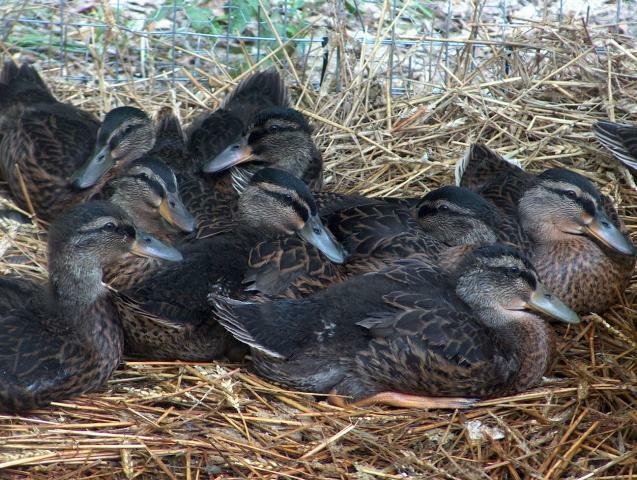 We hope to hatch ducklings in the spring. 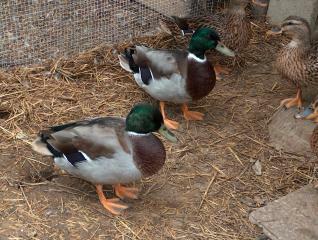 Our ducks will be used mainly for training of our dog. We bought adults once and fiqured we could raise them ourselves. 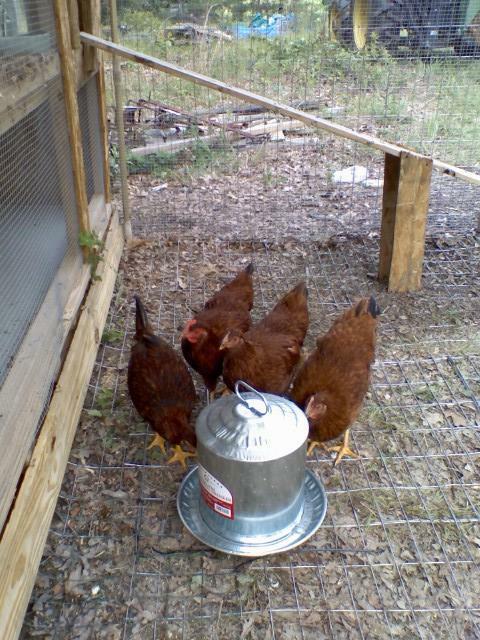 We are avid waterfowl hunters and the use of live birds will help with the trainig of our dog. 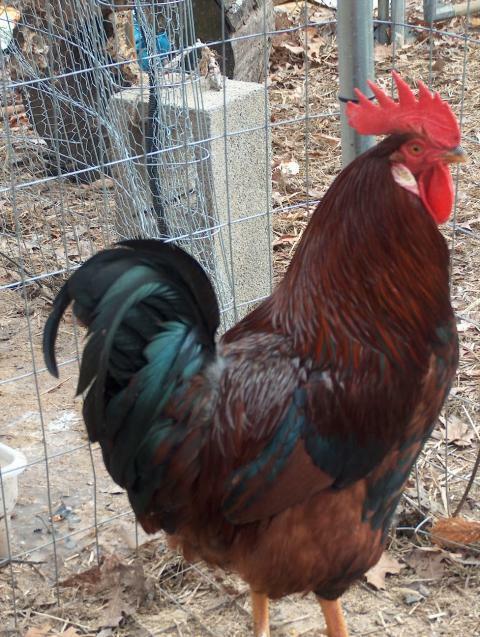 We hope to possibly supply others with them as well once we get an established flock. 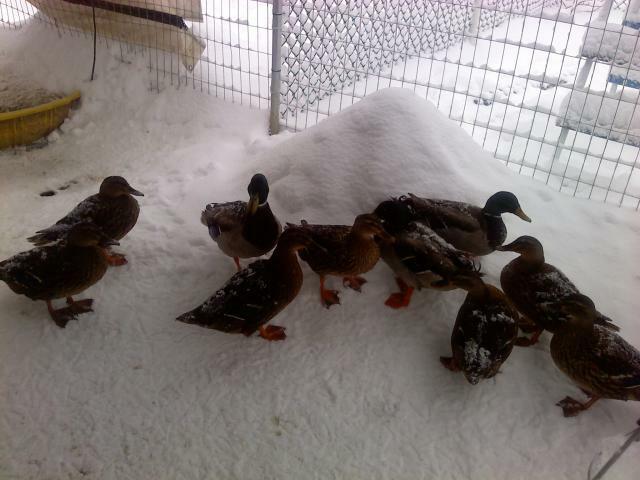 Those ducks are enjoying this snow storm way too much.